Just building a new website or updating an old one is not enough to get a return on your investment or generate business from it. With milions of Web sites out there on the World Wide Web today you need to help people find your site. We have proven methods including SEO search engine optimzation that we build into your website. But, since we need to build authority for the search engines to take your site seriously we work with you to create that. Content and authority plus online advertising. Small businesses have a lot of unique needs that cannot be met by available staff. That is where we come in. Have a "tech question"? Need marketing materials, or onsite professional photography? Just give us a call. We deliver! We work with your company professionals to determine the right web site presence and search engine marketing requirements to develop a solid client specific methodology utilizing all our company resources including advertising, sales and support into one coordinated internet force. 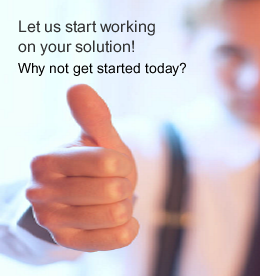 We can also provide a subset of the complete solution for whatever challenges your organization faces. We meet with our clients and explain what options there are along with, the costs and time involved in each while working to develop the website with an internet presence that works seamlessly with corporate marketing and branding goals customized from scratch for each client. We work with you in the manner that works for you. We can build content and graphics from scratch getting input from you the client. Or, we can take what you give us for website content, graphics, logos, color schemes etc. and mold it to successfully depict your business as you want it to be viewed on the internet. And, we stay in constant contact to make sure we monitor the changing needs of our clients. That way we can make suggestions before you realize that you need to ask us a question. We go the extra mile to help our clients. We can make professional brochures and marketing materials at competitive prices using graphics and content variations to present a seamless presentation of your corporate brand. We also do professional individual and group photography with the advanced equipment necessary and the experience to get just the right professional look.